People living with mental illness face stigma on a daily basis. When children develop a mental illness, parents face this stigma right along with them. Here's how parents and local caregivers work to treat and support these children in this Special Report from Michigan Nightlight. People living with mental illness face stigma on a daily basis. They are blamed for their disease, called names, face discrimination, and feel shame that, in many cases, prevents them from seeking the help they need. When children develop a mental illness, parents face this stigma right along with them. They may feel that they are to blame or solely responsible for “fixing” their children. A Grand Rapids area mother of a teenager with mental illness explains. Pam Squire, vice president the National Alliance on Mental Illness (NAMI) Kent County chapter, concurs. She is the parent of a child with mental illness who is now an adult. When Squires’ son was diagnosed with ADHD at age seven, she went into action. She learned as much as she could about what he was dealing with. She sought help from a psychologist, psychiatrist, and neurologist. Squires’ son’s diagnosis was changed to bipolar disorder when he hit adolescence. His psychiatrist told Squires that it was not unusual for children who are originally diagnosed ADHD to later receive a bipolar diagnosis. While the school where the first mother’s child attends has a mental health liaison and a volunteer group that seeks to increase awareness, acceptance, and advocacy for mental health, she and her child still suffer the results of stigma on a regular basis. Stigma hits hard at home, too. When spouses disagree on what course to take with their child’s illness, it takes a toll on the marriage and the child. For example, one study found that parents of a child with attention deficit hyperactivity disorder (ADHD) were nearly twice as likely to divorce by the time the child is eight years old than parents of children without ADHD. 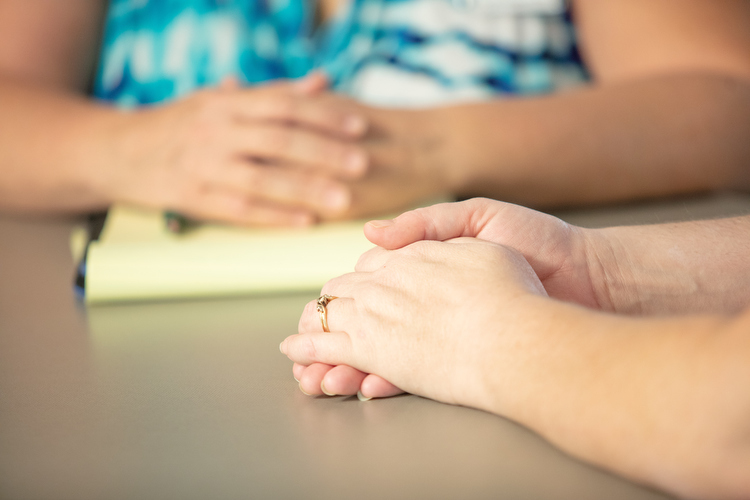 Because suicide is a real risk for her daughter, this mother has a crisis plan listing doctors and hospitals, names and numbers, medications, insurance, and other important information readily available. Kelley Roest talks with parents as a part of Network 180's Family Partnership Program. In addition to stigma, single parents and families with income challenges face additional barriers to getting their children help when mental illness strikes. People working low-paying jobs without benefits like sick leave or paid time off may not only lose wages but face termination if they take time off to take children to mental health appointments. If they can manage the appointment times, they may not have reliable transportation to get there. If they have other children, childcare and childcare costs become another barrier. In addition, accessing any kind of healthcare with Medicaid not only presents additional hoops to jump through, but also can duplicate the stigma associated with asking for help. Families without insurance face even more impossible odds. The Community Family Partnership works from a “wraparound” model that coordinates a shared plan among all the systems working with the child — school, court, child welfare, mental health, etc. — together with the family’s natural supports, like church, neighbors, friends, youth groups, or family. Based on the youth’s and family’s strengths, needs, and goals, the plan wraps all of the help around the child, rather than bombarding the family with a dissonant barrage of unrealistic expectations. The goal is to help the family keep their child at home and in the community. “When parents feel they are part of a supported community, they do better and their children do better,” Worral says. Aware that the issue of mental illness is perceived and treated differently by different cultures and communities, Worral is reaching out to those communities in Kent County, specifically LatinX and African American communities, for input. Worral discovered that many in the African American focus groups saw mental illness as a spiritual issue or weakness. This stigma prompts parents to seek help for their children at church, through prayer, or find ways to “toughen up” rather than seek therapy. In LatinX communities, immigration policies have created distrust of the government, especially when family members are undocumented. Here, language barriers also prevent access to programs. Culture Cafés involve participants in conversations about different aspects of mental healthcare disparities. For each topic covered, Community Family Partnership offers one Culture Café event catered to clinical staff, providers offering formal therapy, and probation staff. A separate event is offered to community members and nonprofit organizations that seek to reduce stigma and adjust programming to address the needs of children and families dealing with mental health issues. When a child is diagnosed with mental illness, a variety of treatments option exist in addition to prescribed medications. Children diagnosed with emotional dysregulation may respond well to Dialectical Behavior Therapy where they learn ways to handle different situations. Eventually, the Squires became involved in a recovery model that took a holistic approach. Music therapy has also proved an important adjunct in treating children experiencing mental illness. 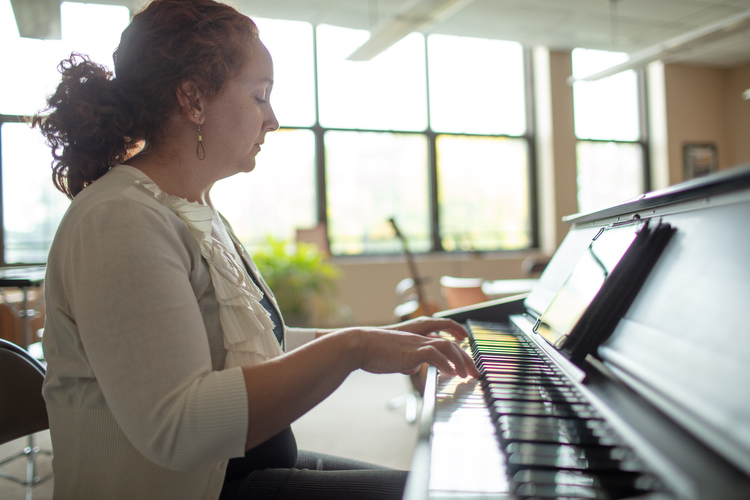 Franciscan Life Process Center has been offering music therapy since 1978. Involving all aspects of music — singing, playing, moving, listening, and creating — its program serves children with special needs, frail elderly, individuals in hospice, and those diagnosed with neurological disorders, cancer, or other medical conditions, as well as children and adults with severe mental illness. To enhance their sessions, music therapists here gather information about the child’s family and other experiences. They actively engage the family system for assistance in the healing process. 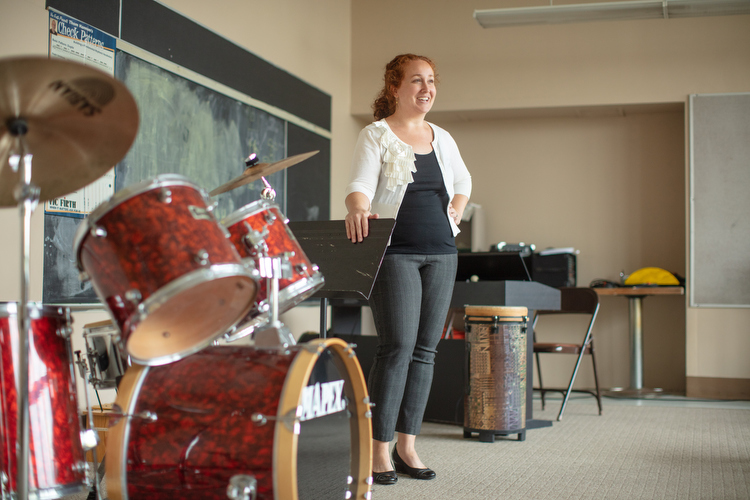 By working with the whole family, exposing underlying issues contributing to a child’s behavior, and getting a clearer picture of what the child needs, the music therapists can set the whole family up for success. Music is a powerful therapy. Squires was terrified to see her child reach his 18th birthday, knowing his care would no longer be under her complete control. However, she also felt relief. 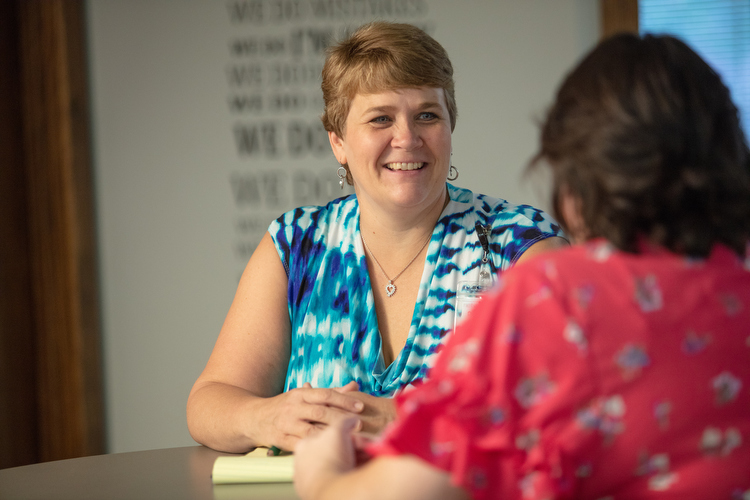 In her role with NAMI Kent County, Squires is involved in a number of programs that support parents with children experiencing mental illness, as well as programs for the children themselves. NAMI chapters across the state and nation offer similar programs. In addition to a hotline (800-950-NAMI), crisis text number (741741), and its Ok2Talk blog where those impacted by mental illness can share their thoughts and feelings, NAMI hosts a variety of classes and support opportunities for parents, family caregivers, friends, adults and youth, and the whole family. Some are offered in Spanish. Most are free. NAMI Provider Education helps those working with clients with mental illness to have more compassion while promoting a collaborative model of care. Facilitated by leaders who have personal experience with mental health conditions in their families, the NAMI Family & Friends seminar informs and supports people who have loved ones with a mental health condition with information about diagnoses, treatment, recovery, communication strategies, and crisis preparation. *This and other statistics presented in this article are from the National Alliance on Mental Illness (NAMI) fact sheet, “Mental Health Facts: Children and Teens,” which cites statistics provided by the National Institute of Mental Health.